What’s the only thing better than a package of PEEPS in your Easter basket? A cheeky dessert made with PEEPS bunnies of course! 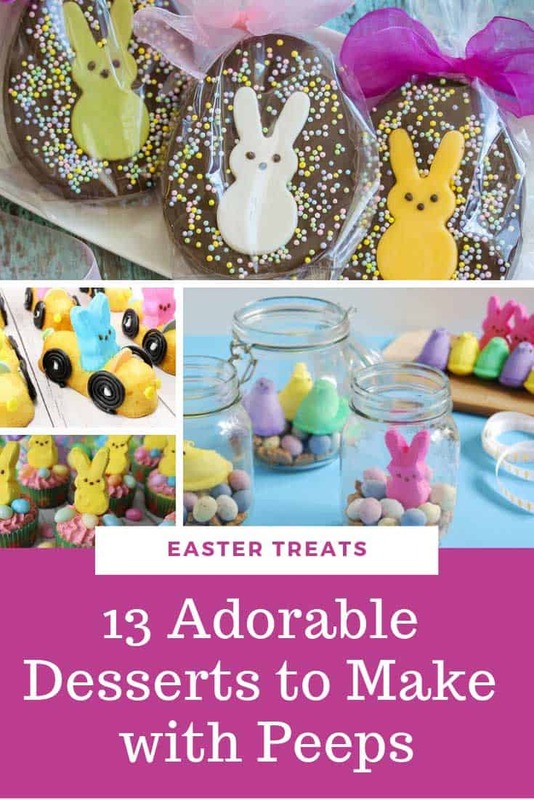 Whether you want something so simple the kids can help you put it together, or a show-stopping centerpiece to your Easter table that will have your guests drooling you are sure to find something to suit in this list. 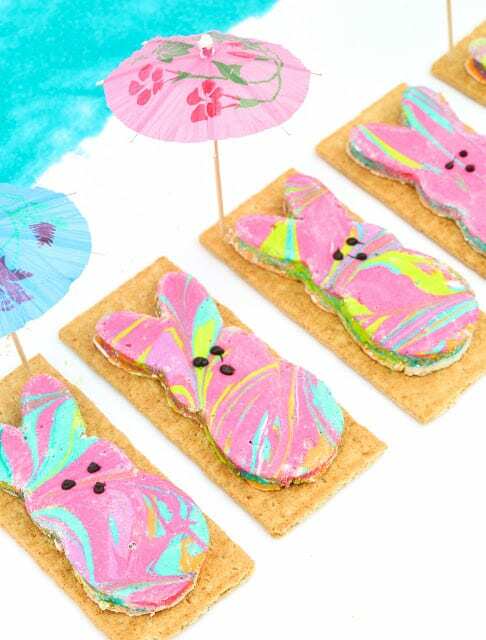 We think the Easter bunny would totally approve of these sweet chocolate bunny pops! They’re so easy your kids will enjoy making them with you for sure! 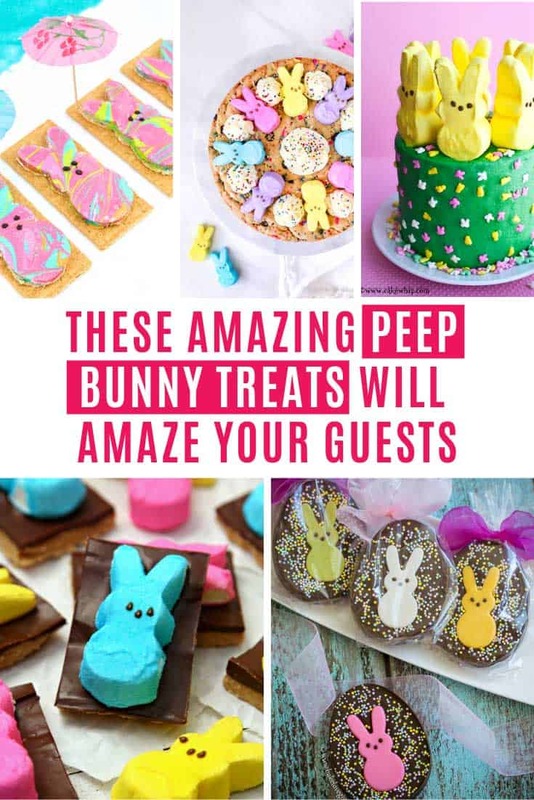 If you’re looking for a peep treat that can double as a centerpiece for your Easter celebrations look no further! 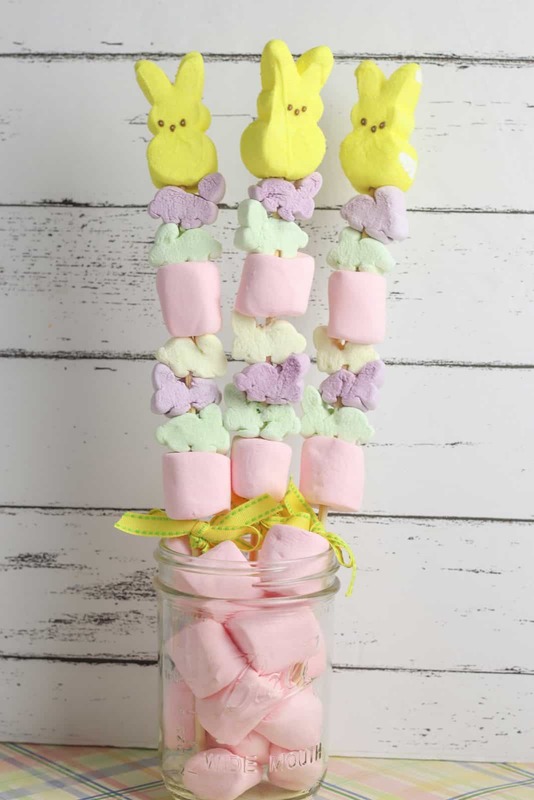 These kabobs are so spring like with their pastel colors and will look fab standing there on your table in their mason jar holder! 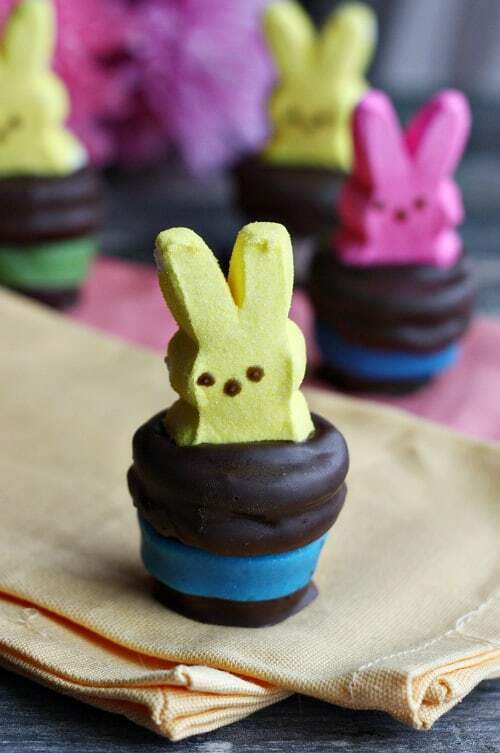 Oh my goodness, these might just be the CUTEST PEEPS bunnies I have ever seen! Just look at them sitting there ready to be pulled from their magician’s hats! Such a clever idea! Here’s a cute mason jar Easter gift idea. 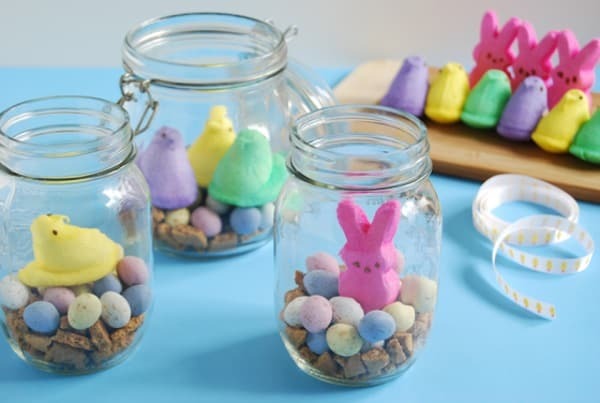 Pop your peep bunny in to a jar with some mini eggs and crumbled graham crackers and you’ve got yourself a deconstructed s’more! 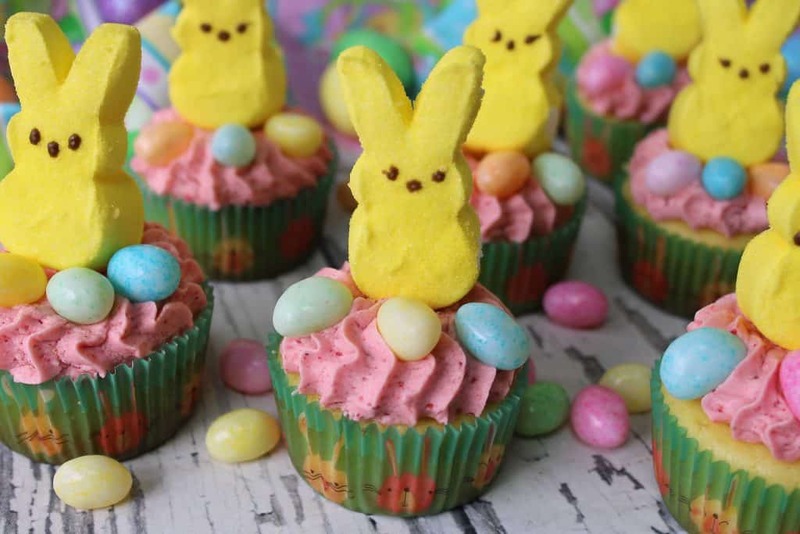 These Easter cupcakes are super sweet and easy to decorate, but inside is a hidden surprise that make them taste even yummier! Wow! 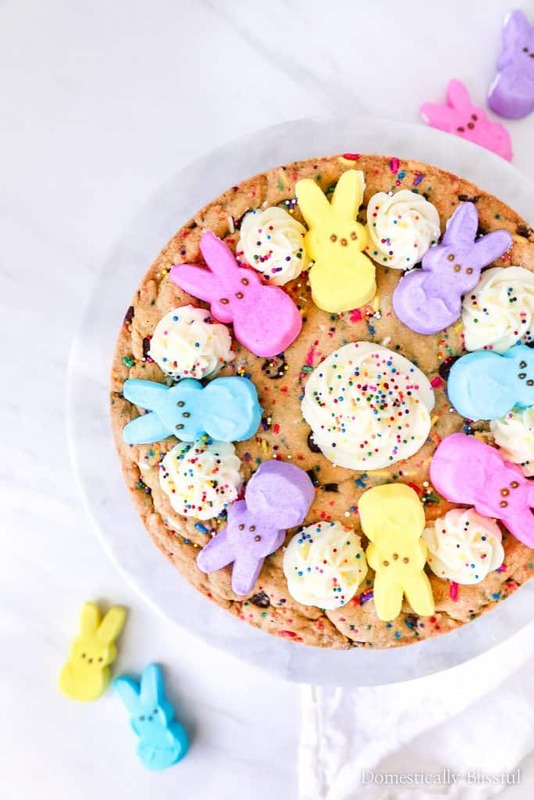 This giant cookie cake looks fabulous with all those Peep bunnies on top. And there’s double the flavour because the buttercream frosting tastes like Peeps too! If you love peanut butter s’mores you are definitely going to have to add these to your Easter baking list! They look super cute, and melt in your mouth just like a real S’more. Only question is do you have the restraint not to eat them all? If you want to make a show stopper of a cake for your Easter party you can’t go wrong with this one! I love the little bunny shaped sprinkles! Oh my goodness how fun are these! 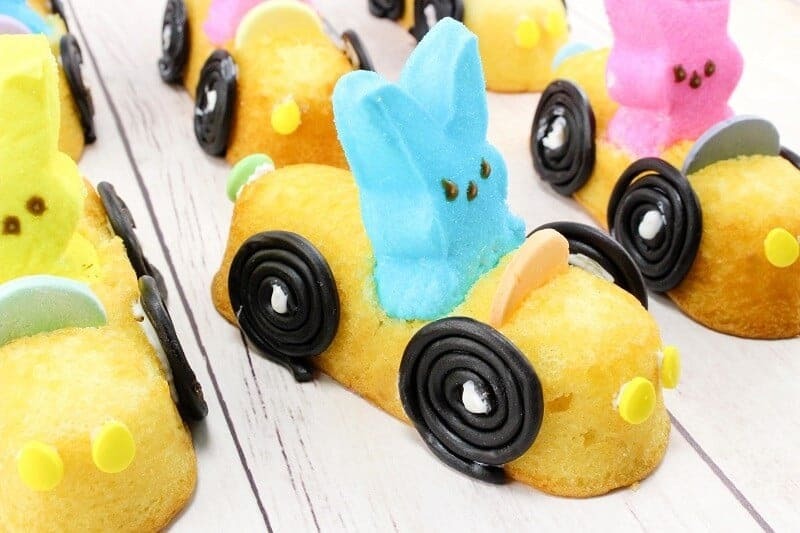 Cute marshmallow bunnies driving their own Peep Mobiles! Love it! Your kids will have a blast putting these together that’s for sure. Yum! 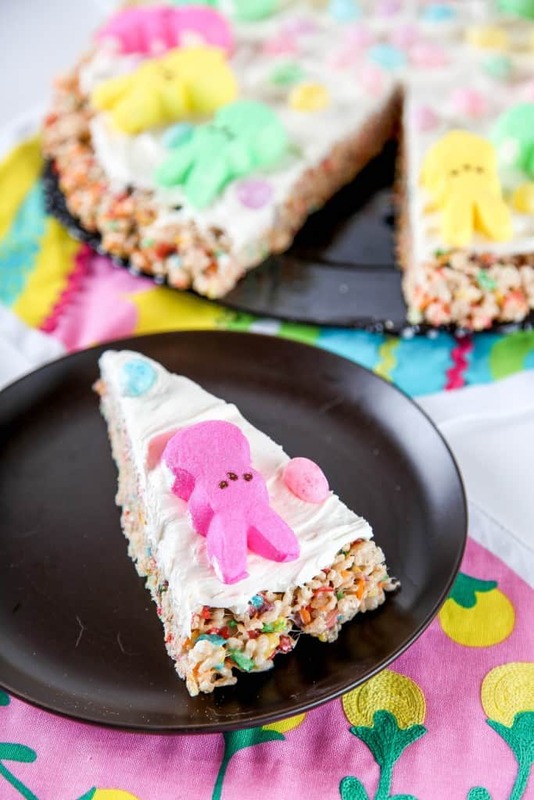 This PEEPS pizza will make a fabulous centerpiece and tastes great with the chewy rice crispies topped with a marshmallow frosting, and of couse those PEEPS bunnies! 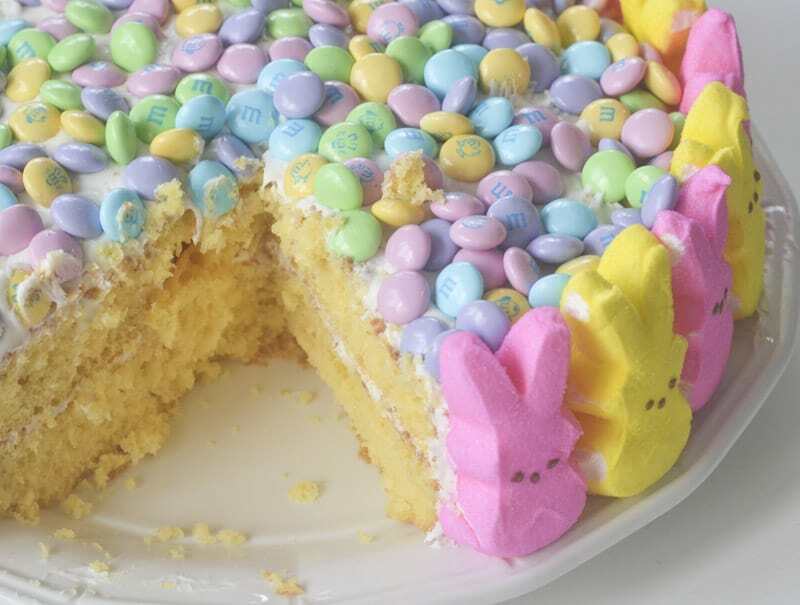 If you love an excuse to decorate with those sweet pastel coloured M&Ms then this is the Easter cake for you! 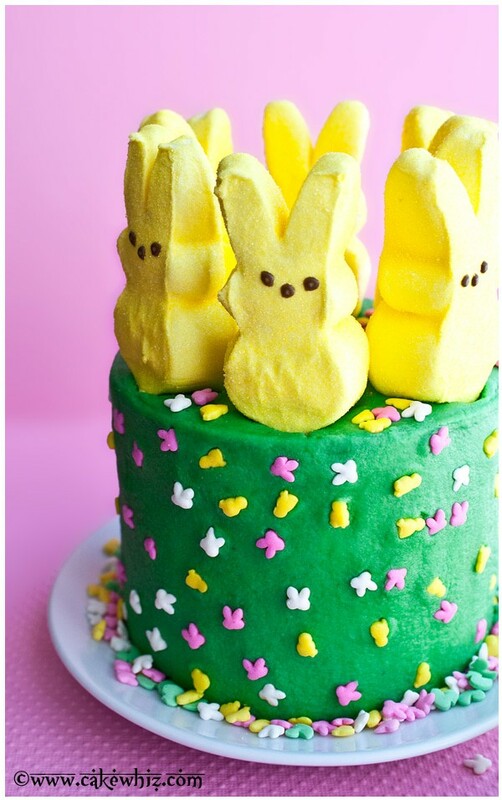 I love the idea of standing those little bunnies up all around the cake rather than using them to decorate the top! And while you have that PEEPS shaped cutter out why not have a go at these tie dye bunnies! I love how they’re all laid out catching some rays! Ooooh! How fab do these look? 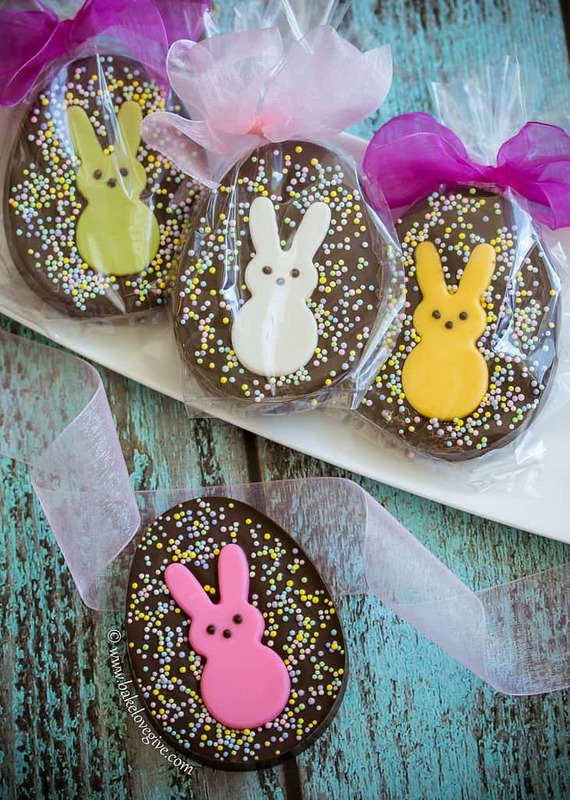 Little PEEP shaped bunnies inside an eggs shaped chocolate! 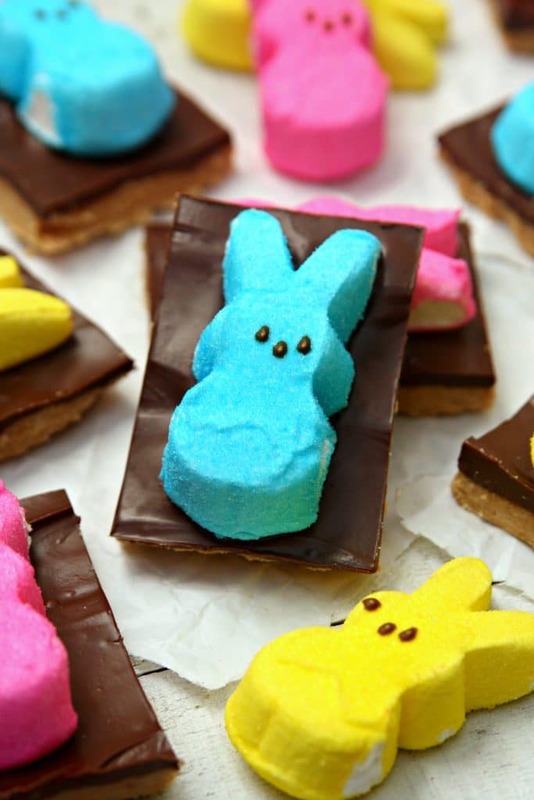 These would make the perfect treat to pop inside an Easter basket. 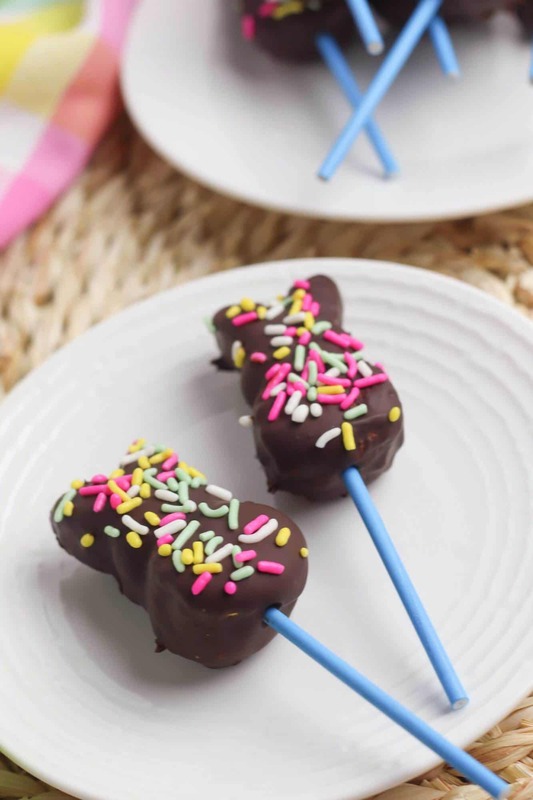 Previous PostPrevious These Chocolate Covered Bunny Pops are Seriously Cute!